Dr. Boucher graduated Ohio State dental school in 1927 and entered private practice with Dr. Harvey V.D. Cotrell and Dr. H.S. Shumway in downtown Columbus. He soon began teaching part-time at the OSU dental school, and in 1935 he limited his practice to removable dentures. In 1940 he was promoted to associate professor and chairman, division of prosthodontics, and held the chair thirty years. Throughout his career he divided his time equally between teaching and private practice. He was a Fellow in both the American College of Dentists and Academy of Denture Prosthetics. In 1950 the ADP, now the Academy of Prosthodontics, joined with the American Prosthodontic Society and the Pacific Coast Society of Prosthodontics to publish The Journal of Prosthetic Dentistry. Dr. Boucher was founding JPD editor in 1951, and served until 1975, when Dr. Judson Hickey took over. Presently the JPD has 31 sponsoring organizations including the Boucher Conference whose members all subscribe to the Journal. 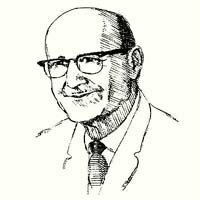 Dr. Boucher also edited several editions of Swenson’s Complete Dentures, published by Mosby Co., and since named for Boucher, as well as Current Clinical Dental Terminology, also published by Mosby. Dr. Boucher has been called the “man who wrote the book” about complete denture prosthodontics. The JPD and his textbooks can be found in dental schools around the world. All Dentists, Prosthodontists, and Allied Health Professionals are welcome to join the Carl O. Boucher Conference. The Carl O. Boucher Prosthodontic Conferece was established to provide continuing education in the art, science and practice of prosthodontics.